I was an ordinary Catholic, and from the time I was little, we three brothers and sisters followed our mother in believing in the Lord. 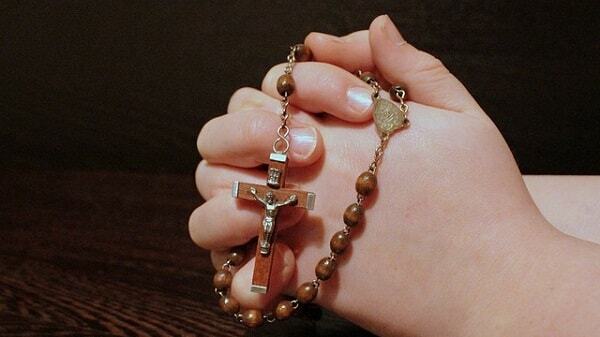 After I married, every day, besides taking my son and daughter to school and picking them up, and looking after my family, I did things related to belief in God, such as saying daily Morning, Evening Prayer, and the rosary. 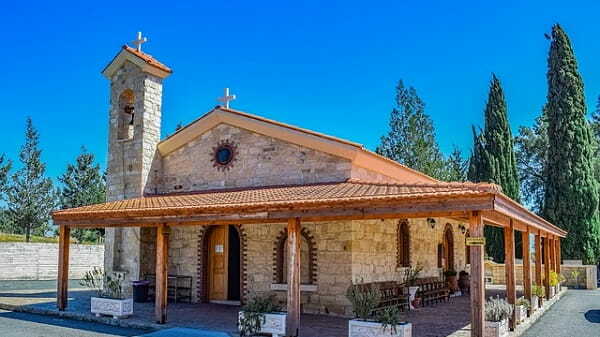 After coming to America, on Sundays my mother and my elder sister and I, as we used to, would go to church to attend the service, worship the Lord Jesus and worship the icon (sacred pictures), and hear Mass. In addition, every year we would join in the celebrations held on Easter Day, Christmas Eve, Christmas, and the like, as well as confess to the priests. We had lived such a life of believing in the Lord without almost any change since I was young. Around the end of 2015, once when we went to the church for Sunday worship, my mother ran into a former fellow-believer who was in the same church with her when she was in mainland China. One day, this aunt brought several of her church friends to my home to preach the gospel of God’s kingdom. When I saw the book held in their hands was different from the Catholic Bible, I thought they had come to convert us to belief in Christianity, so I took a dislike to them. The aunt said: “The Age of Grace has passed. 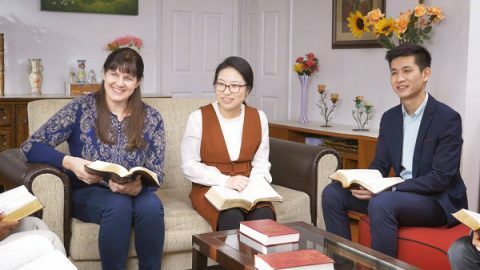 Now is the Age of Kingdom, and God has come and done new work, which is the work of judgment beginning with God’s house that is prophesied in the book of Revelation.” After listening to these words, in my heart I was full of opinions on that aunt. I thought: Are you not trying to convert us to Christianity? Especially at the time that I heard they called the Lord God, being not used to it, I began to debate with them, and my attitude toward them was not very friendly. After that, they no longer came and looked for us, and I also treated this matter as a small interlude and gradually forgot it. In August, 2017, I felt my elder sister had changed somewhat: She often went out alone and her mental outlook got much better than before. Later, my mother also frequently went out with my elder sister and they asked me to stay at home to take care of children. I got the feeling that there was something they were not telling me. Especially when I found they often whispered to one another, I thought: Is there anything they cannot let me know? There were a lot of questions and confusions in my heart. Only later did they tell me they had believed in Almighty God, and it seemed that they were very serious. Hearing this news, I was very puzzled inside: Previously both my mother and sister were active and devout Catholics, but now why have they put their belief in Almighty God? Aren’t they betraying the Lord by believing another God? What is going on with these two? They are too hasty. Why have they become so different in only a few days? One night, my mother and elder sister came to my room and discussed with me how they accepted Almighty God. They told me Almighty God is the name of the returned Lord, and tried to persuade me to investigate the work of the Lord’s second coming and to listen to their sermons. With a scowl, I didn’t say anything, and I wasn’t going to listen either. At the time, my sister said to me, “I can understand how you feel now, for my feeling was the same as yours when I heard that the Lord has returned and done new work. 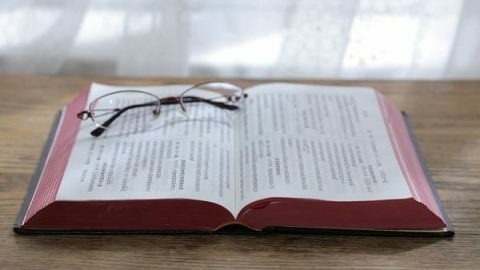 At that time, when the aunt brought several people along to preach the gospel to us, I didn’t carefully study it, because I was likewise afraid that my belief would be wrong. But I felt all that they fellowshiped made sense and was in line with the Bible, so since then, I kept praying to the Lord saying, ‘O Lord! If You has really returned, may You allow me to again meet the people who preach Your gospel.’ Later, I really met them.” After hearing her words, my heart was a little released. 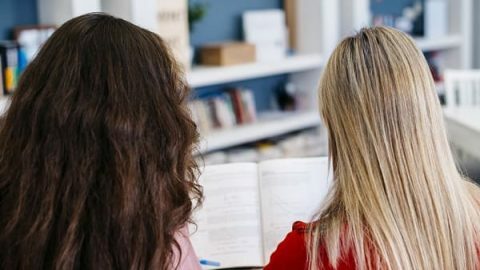 And I began to understand the reason why my sister accepted Almighty God’s work so quickly: Turns out that she has been seeking the guidance of the Lord. In September, following my mother and my sister, I began to study the work of Almighty God. At first, because there was still some rejection remaining in my heart, and on top of that I’ve always been restless and outgoing, so it was a little difficult for me to keep sitting there properly and listening to the brother’s fellowship. Considering my mother and sister were there, I forced myself to listen carefully, but I actually didn’t accept his preaching and even felt some resistance in my heart. I thought: How come what he says is almost the same as what the aunt said before? Could it be that mom and sister are deceived? Later, with this puzzle, I came back home. After that, although I still lived in the way that I had been, praying, chanting scriptures, and going to Mass, yet my heart couldn’t calm down any more, like the water in the small pool having been stirred by someone with a branch. Though I didn’t easily accept the work of the return Lord Jesus, I started to think about what they fellowshiped and whether I should investigate it. On a Lord’s day, when it was time for us to go to the church to attend service, my mother and sister showed no intention of starting. I thought to myself: You accept Almighty God and quit going to the church so soon? Alas! Even though you do not go, I will still go. And so I went to the church alone. If in the past, the Mass should have already begun. However, that day at the time that I entered the church, I was shocked: Without all the lights on, the room was a little dusky; on the bench sat a scattering of people, and the priest was not there. For around ten minutes I stood there, feeling very lost, and I thought: The church is really increasingly desolate. 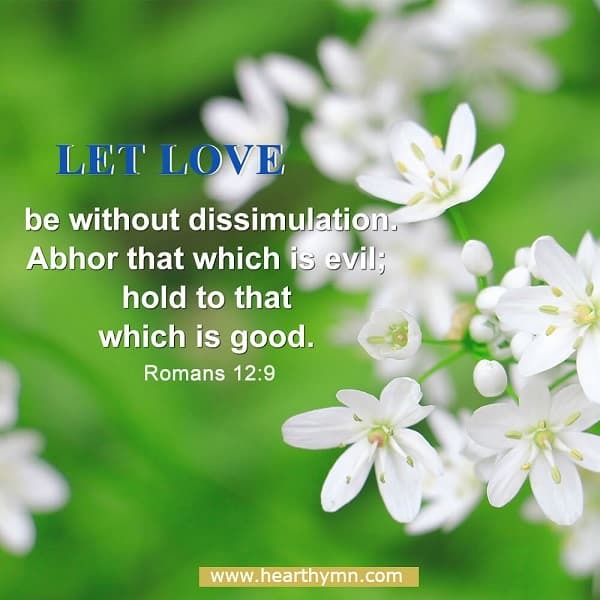 Could it be that as the believers in Almighty God said, the Lord has returned and done new work, and everyone who does not follow it will lose the work of the Holy Spirit? And is the church becoming more and more desolate because the Lord’s work has moved? Later, after I returned home, I closed the door, and stood before the picture of the Lord Jesus and looked at it, praying to the Lord silently: “O Lord, have you truly become flesh in China and done new work? 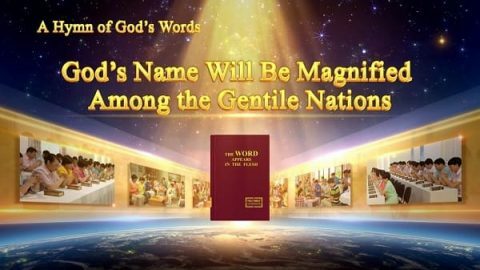 Is Almighty God witnessed by them really the name that you take when you return? O Lord! I ask You to guide me…” After the prayer, with a load off my mind, I breathed a sigh of relief and felt at ease. This was the first time I’d heard such fresh topics as “The three stages are closely interconnected and linked one to the next” and “are all the work of one Spirit,” and I was deeply attracted by these words. I thought: According to the words, the three stages of work include the work of the Age of Law, the Age of Grace, and the Age of Kingdom. Three stages of work? Why does God do three stages of work? And how does He carry them out? I was so excited and desired to understand this mystery. After hearing God’s words and the brother’s fellowship, my heart brightened up. I came to know: The three stages of work are actually all carried out by one God; it is just that when the age changed, both God’s work and His name changed with it. Additionally, God’s work in the Age of Kingdom is built upon the foundation of the Lord Jesus’s work done in the Age of Grace, and is a new and higher work. I thought what the brother fellowshiped made a lot of sense, and I had never heard these mysteries. I also knew that believing in Almighty God is not betraying the Lord Jesus and believing in another God, but it is keeping up with the new work of the Lord and receiving Him. 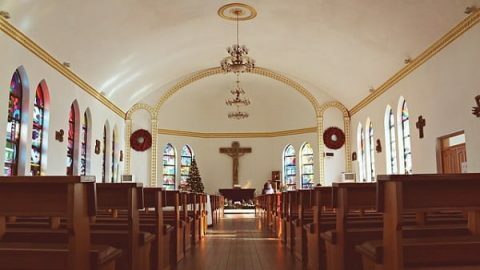 At this time, I no longer felt it was tiring to always sit and listen to the sermons. The brother also fellowshiped, “In the last days, God incarnate has expressed the truth, revealed to us all the mysteries of God’s 6,000-year management plan, disclosed to us all the mysteries of the work of Jehovah and Lord Jesus, and of the work of Almighty God in the last days, and also has told us the destination and end of mankind. Those people who love the truth and can hear God’s voice will return before God’s throne, and through the pursuit of the truth, they will be purified; while those people who do not love the truth and refuse to accept Almighty God will be exposed and eliminated. In this way God practically separates man according to their kind, and finally rewards the good and punishes the wicked. The work of God’s entire management plan is personally carried out by God Himself, moreover, the work of defeating Satan and purifying and perfecting man in the last days is also done by He Himself. And no man can perform the work that God will carry out. After listening to the brother’s fellowship, I came to realize: In case I don’t know the three stages of God’s work and accept God’s new work of the Age of Kingdom, then won’t my faith in the Lord for all these years has been in vain? I will not only not receive the Lord’s praise but will become the one who believes in the Lord yet resists Him. No, I must put aside my notions and imaginations, and accept Almighty God’s work of the last days. 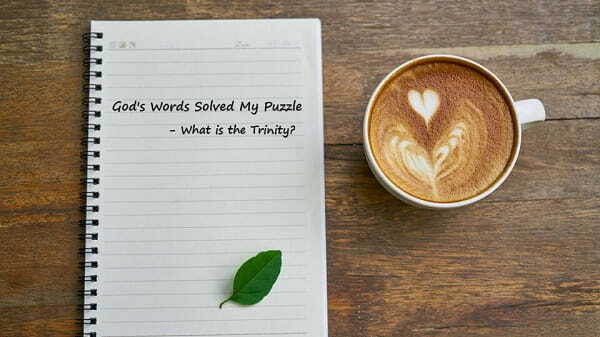 Afterward, I began to consciously read God’s words and attend meetings. Gradually, I came to understand some truths. 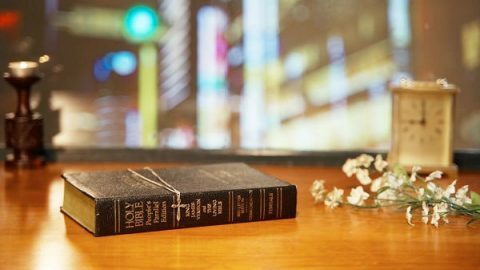 Although I had not accepted Almighty God’s gospel of kingdom for very long, yet I felt that during this time I learned more than I had in my twenty plus years of faith in the Lord. Through having meetings and watching and The Church of Almighty God’s gospel movies, I no longer doubted the new work of God. 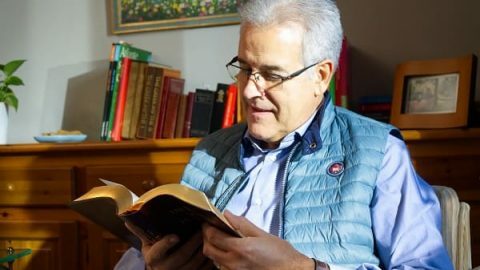 Instead, I had gained a closer relationship with God, feeling more and more free and liberated, and was certain that the incarnate Almighty God who expresses the truth is the return of the Lord Jesus whom I had worshiped since childhood. Now I happily live in God’s house, gather and fulfill my duty with my family as well as brothers and sisters, and have felt the joy that comes from having God with me. Thank Almighty God for allowing me to catch the last train in the Age of Kingdom. All glory be to Almighty God! A common saying goes, “Everyone will die if the heaven falls.” Will the believers in God be spared of death when disasters befall? She had always believed that God can only be called Jesus, and God may not be called by any other name except Jesus. 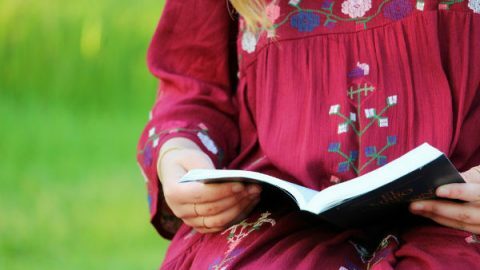 Under God’s guidance, she finally awakened: The Bible had long prophesied that God would have a new name in the last days. And through investigating, she was certain about God’s new work.